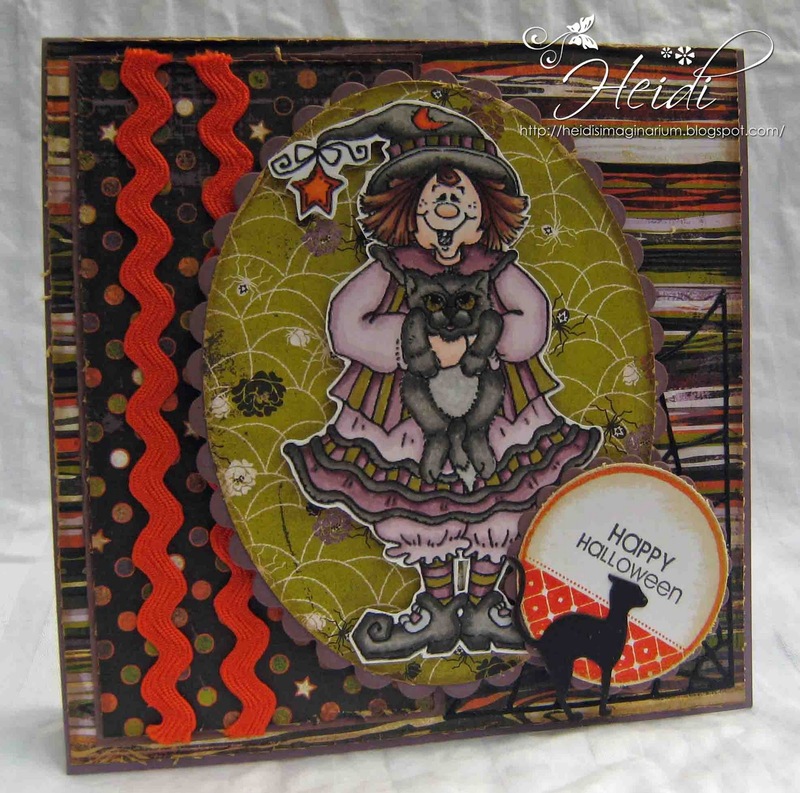 Heidi's Imaginarium: Second of Two Card Monday! 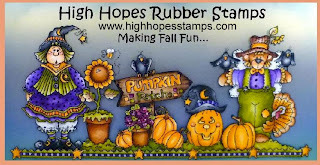 Our next Magical Monday challenge which as Halloween is not too far away we are having a Halloween theme which is being sponsored by High Hopes and they will be offering a lovely prize of 3 "Magical" Rubber Stamps to the winner. 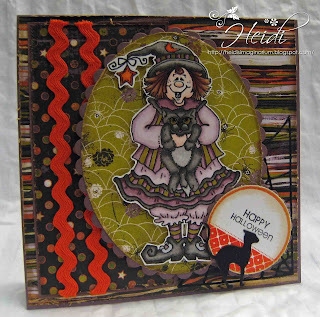 Here is my card which uses Witchy Poo and Kitty from our Sponsor High Hopes!